How to Transfer Apps from LG Phone to Computer? Home > Resources > LG > How to Transfer Apps from LG Phone to Computer? In recent years, Android apps play an important part in entertaining Android devices users, no matter for life or work. Android users can install various interesting Android apps on their Android mobile phones or Android tablets, such as Facebook, Google Map and many more. It is a waste of time and money to install these apps on your Android device again if you accidentally delete or lost them some day. So, transferring these apps from your LG mobile phone to computer for backup is essential. Coolmuster Android Assistant is the most versatile apps transferring tool that enables you to transfer apps from LG mobile phone to computer with simple steps. No matter what types of your Android apps, the software can always sync them to Windows or Mac computer without any hassle. After you transfer all the apps on your computer, you can just keep them for backup, or you can restore them to other Android phones as you like. What you need is only a computer, an Android Assistant, your LG phone and a USB cable. Now, let's try the LG Apps Transfer together. Please free download the trial version of it via the following link. After you have downloaded and installed Android Assistant on your computer, launch it and then connect your LG phone to the same computer via the USB cable. 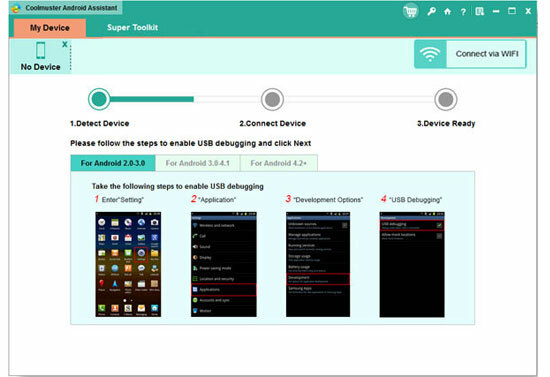 If you haven't enabled USB debugging on your LG phone before, you should follow the direction in the program interface to accomplish this process. Once detect your LG phone, this program will start to scan the phone deeply. All your LG phone data will be arranged into several folders, including Apps, Music, Photo, Video, File, Book, Contacts, etc. Now, you can choose "Apps", select the apps you want and click "Export" button to transfer them to your computer. You can download the LG apps transfer - Android Assistant on your computer and try.